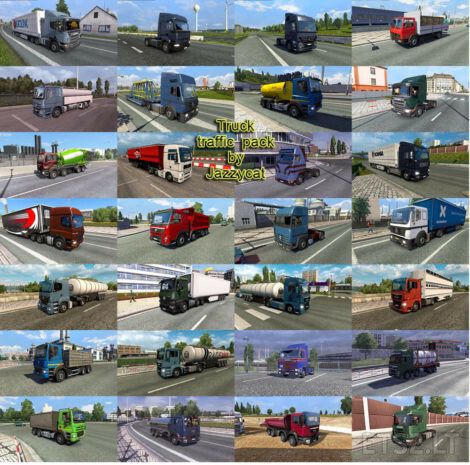 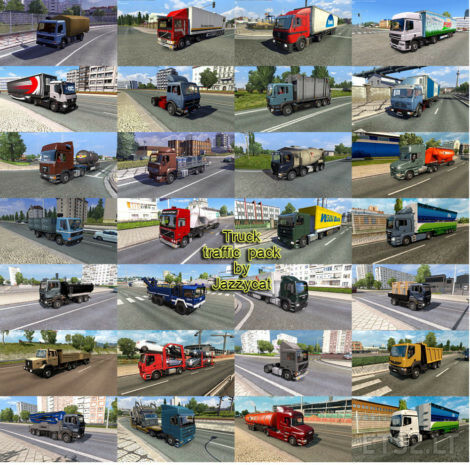 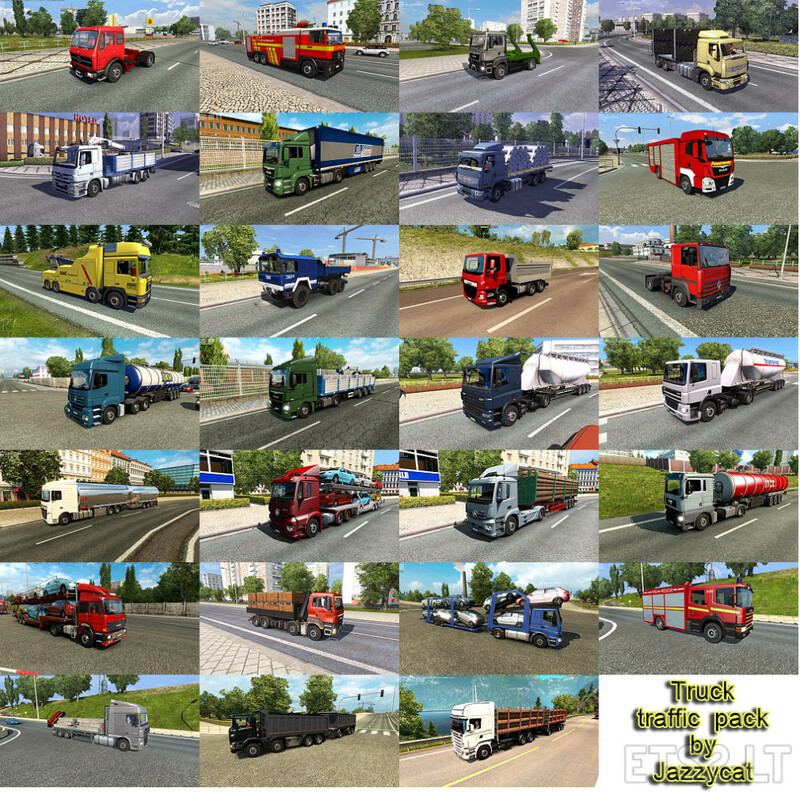 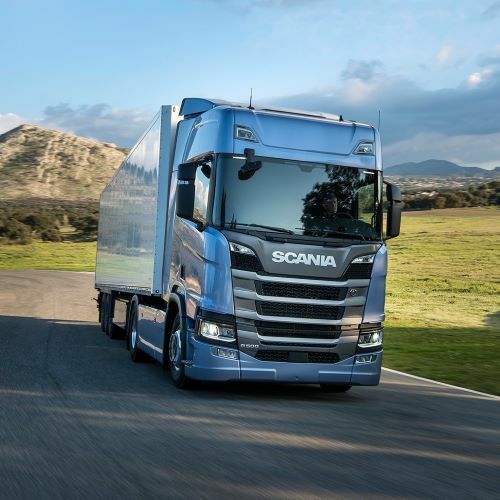 Pack adds in traffic 94 trucks and BDF’s (Mercedes Benz MP2, MP4, Axor, Antos, SK, LK, NG, Atego, Scania 143M, 164L, P-series, Iveco Eurocargo, Volvo F10, FH12, FMX, FL7, MAN TGA, TGS, F2000, TLF, Kat-1, Pegaso Troner, Tatra Phoenix, DAF CF, Renault Premium DCI, Kerax, Major, C280, various variants of bdf’s and special trucks). Version 3.2 – added Daf CF Euro 6 flatbed truck with crane and different cargo. 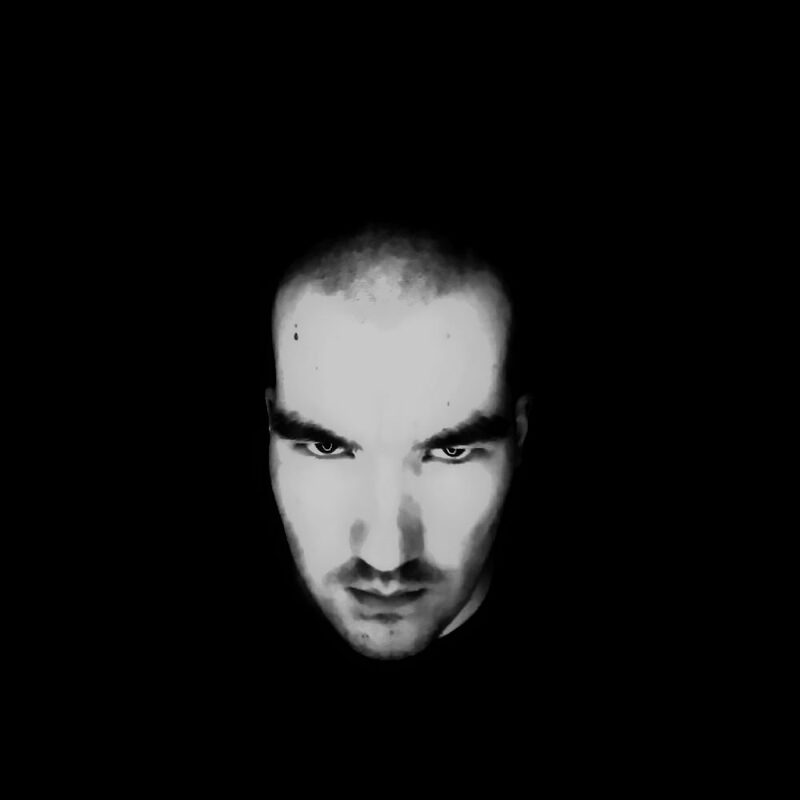 Full Hd Video Test !